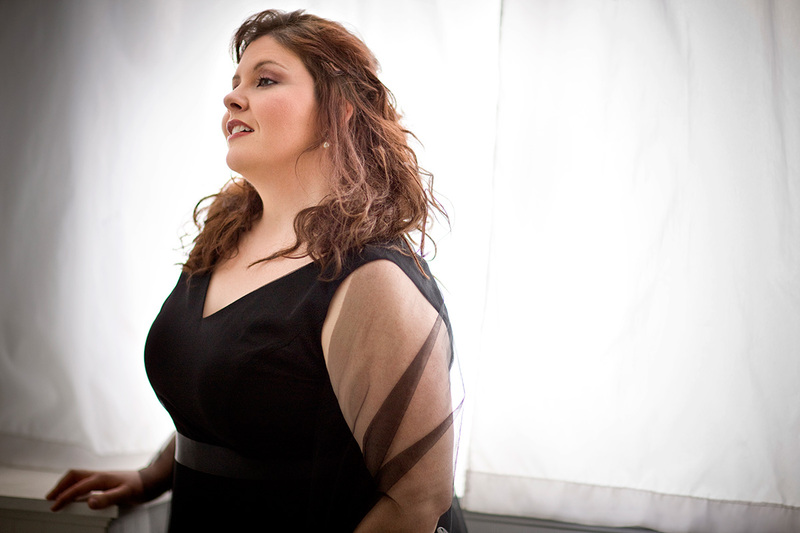 In the 2016-17 season, Angela Meade will join the Teatro Real in Madrid as Lucrezia in concert performances of Verdi’s I due Foscari, opposite Plácido Domingo and Michael Fabiano, conducted by Pablo Heras-Casado. She will return to Madrid later in the season to sing her signature role of Norma and also to the Met for Donna Anna in Mozart’s Don Giovanni, conducted by Plácido Domingo. Ms. Meade will perform concert performances of Rossini’s Ermione with the Russian National Orchestra, as well as with the Opéra de Lyon orchestra in Lyon and Paris at the Théâtre des Champs-Elysées. Later, she returns to Spain to sing at the Teatro de la Maestranza in Seville in the title role of Donizetti’s Anna Bolena. She will later return to Bilbao for Lina in Verdi’s Stiffelio with the Asociación Bilbaína de Amigos de la Ópera (ABAO Bilbao), a debut role. In concert, she will return to the Los Angeles Philharmonic Orchestra with Gustavo Dudamel for Janáček’s Glagolitic Mass, make her Japanese debut in Tokyo with the NHK Symphony in Mahler’s Symphony No. 8, conducted by Paavo Järvi, join the Met for their 50th Anniversary celebration concert, Verdi’s Requiem for a debut with Houston Grand Opera, perform Martinu’s The Epic of Gilgamesh with the Grant Park Music Festival, as well as Washington Concert Opera’s 30th Anniversary gala, and present a solo recital with Performance Santa Fe.